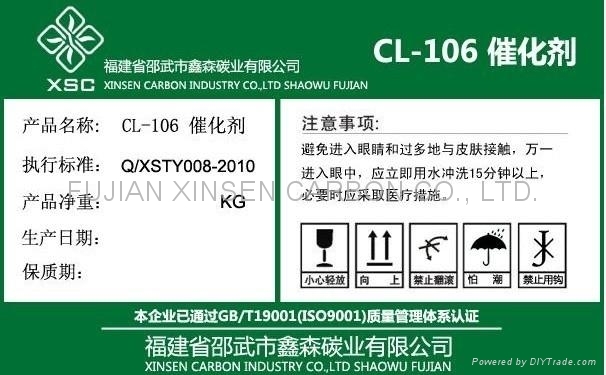 XINSEN CL-106 is a premium product specially produced to function as a catalyst carbon for Glyphosate production. Glyphosate manufacturers in China are currently using CL 106 and have demonstrated that CL 106 is up to 30% more effective than Norit SXRO. XINSEN CL-106 is especially suitable as a catalyst in the herbicide production, because of its excellent activity and selectivity, in combination with good filtration characteristics. It is used as a catalyst in other oxidizing reactions. Filtration time： 10 minutes max. Moisture (as packed): 10% max.